My only claim to the privilege of writing a foreword to this fascinating book is that I have been allowed for some years to serve the Melanesian Mission as Chairman of the English Committee. It would in the highest degree be presumptuous for me to commend what is written hereafter, for it is written by those who have given their life's blood to the Mission. It is a fascinating story and will win its own way. I am sure that if one is to keep one's interest in "Missions" alive, and one's prayers fruitful, it is essential, to know one corner of the Mission Field well. 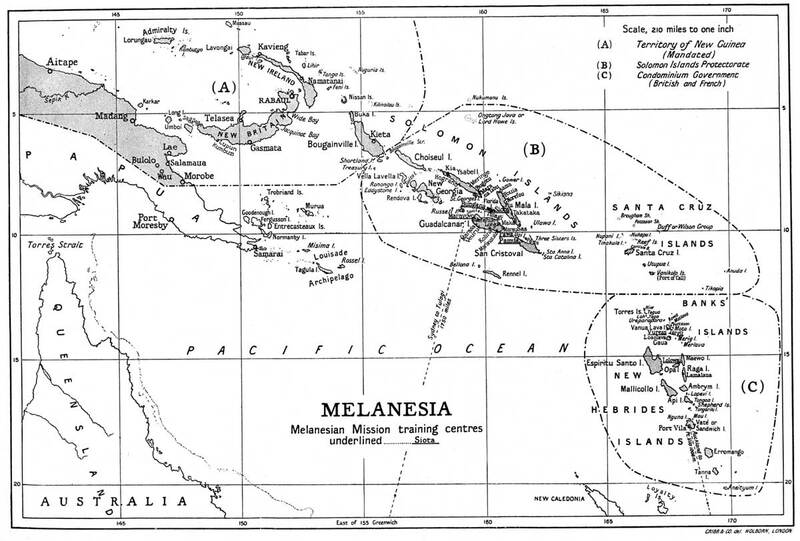 The Melanesian Mission is peculiarly fitted to arouse a particular interest. It has a great tradition. It has its heroes and its martyrs, and to Englishmen it must always have a special appeal, because of its ship. No one, I am sure, can read this book without experiencing the thrill which belongs to all stories of the sea. If it is read with insight, there will be thanksgiving; there will be a recovery of the true motive which underlies all missionary work. That motive is to take a share in the creative work of God, and rake out some portion of God's earth, a place fit to be the object of God's Eternal Love. I send the book on its way with great hopes.